How do I remove myself from a project once I’ve received my results? 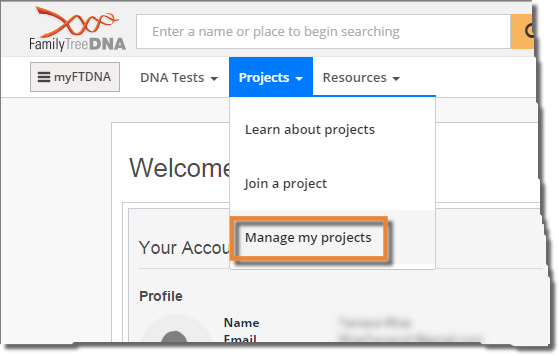 Once your results are posted online, you will be able to join or remove yourself from group projects at will using your myFTDNA account. On the menu bar, click Projects > Manage my projects. The Projects – Manage page is displayed. Click the Leave Project link that is located in the same row as the project from which you want to remove yourself. A new window is displayed. In the window, you can provide a brief reason for why you are leaving the project and click Submit. If you don’t wish to provide a reason for leaving the project, leave the field blank, and click Submit. If you clicked Leave Project in error and do not wish to leave the project, click the X in the upper-right corner of the window to cancel. Note: This must be done while you are signed in to your own account as group Project Administrators are not able to remove project members from projects other than their own. The Family Tree DNA Group Administrators (a.k.a. Project Administrators) are unpaid volunteers who have an interest in the history and genealogy of a particular haplogroup, lineage, geographic region, or surname. They have access to tools to help you compare your results to the rest of your group and can also help coordinate communication between members. 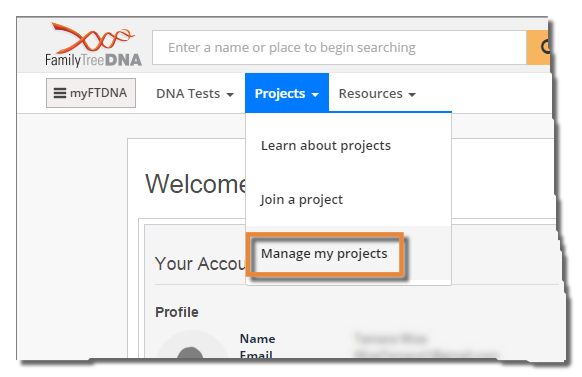 To find out who your Group Administrator is, first look to see whether or not there is a View the Group page link in your myFTDNA account. If so, follow this link. If not, you can look up your project on the Projects page and visit the project website or click Contact the Group Administrator link on the Project Description page.